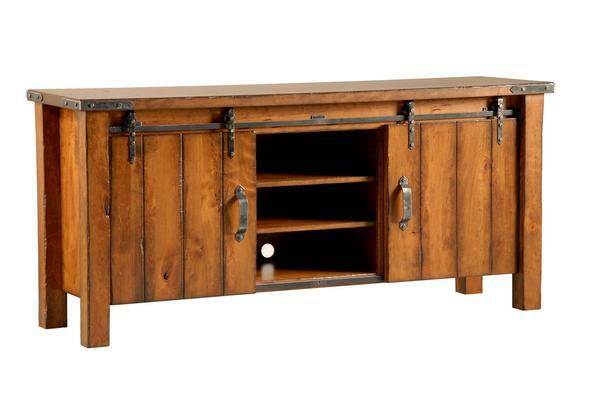 Add a little rustic charm into your home with this Barn Door Entertainment Console. Inspired by French Design this rustic entertainment console will take center stage in your living room. Hide all your cords through the back of this TV Stand for a clean and simple look. Customize this entertainment center with your choice of solid wood and finish.